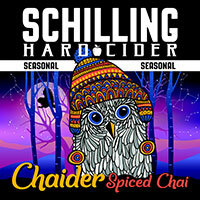 The range of style variations and forms the fermented apple can take make cider a unique libation, unlike any other. Today, cider is making an astronomical comeback in North America, and consumption of this beverage continues to rise at a staggering rate. 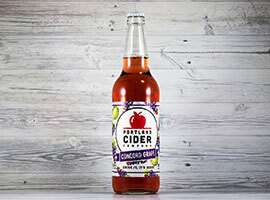 Given the robustness of the craft beer world and the fact that cider drinkers are often converted beer geeks, it should come as no surprise that hard cider sales are rapidly gaining strength. 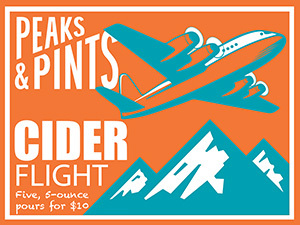 As hard cider sales continue to increase, more and more new cider flavors are popping up across the nation, and on Peaks and Pints Monday Cider Flight 1.28.19: Variety. Pear ciders are comparable to apple ciders, with similar sour flavors and a nice biting acidity. The major difference (other than the pear flavor replacing the apple) is that pear ciders are more soft and muted than their apple counterparts. Fermented primarily from Finnriver Farm & Cidery organically grown traditional perry pears — as well as Hendre Huffcap, Yellow Huffcap, and wildcrafted seedling pears from Marrowstone Island — Finnriver Perry has a nose of wine and sweet pears, with a pleasant, round grapefruit note and a heart of clean, tannic pear. It’s bright and quenching. This is the Dragon’s Head Cider version of a farmhouse cider. 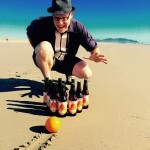 Rather than carefully selecting a yeast strain for the fermentation, the Vashon Island cidery allowed the wild yeast present on the skin of the apples to ferment the cider. It hits the nose with pineapple, green tea, and apple blossom. On the tongue, expect moderate tartness and acidity with mild funk, as well as, honey, citrus, pear, oak, yeast, earthy, and slight floral notes.